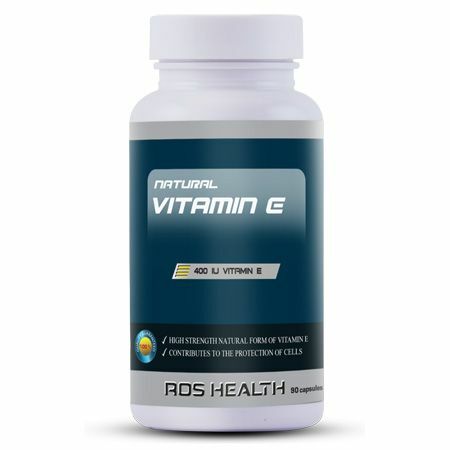 Vitamin E: is an essential micro-nutrient, that is required in a number of biological functions in the body. Vitamin E acts as an anti-oxidant and as such contributes to the protection of DNA, proteins and lipids from oxidative damage. Vitamin E: is a fat soluble vitamin, which refers to a group of compounds that include both tocopherols and tocotrienols. ROS Nutrition Vitamin E 400 IU is produced from finest quality natural form of Vitamin E. Supplementation with Vitamin E is suitable to increase your daily intake of Vitamin E.
Ingredients: Alpha-Tocopherol, gelatin (capsule shell), glycerol.